New website for client’s hair salon in Spennymoor. 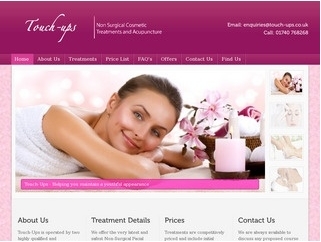 The site was required to have a very strong image base to promote the client’s hair and beauty business. We have worked with this client previously designing the Tan2U website which has been very successful and are currently working on other projects with him. The site features a sophisticated fully integrated transport quotation system which enables clients to obtain up-to-date pricing details based on pick up and delivery points and different vehicle types. Project remit was to design a website for client’s luxury catered ski chalet in the Portes du Soleil region. The website needed to have a strong image focus to promote both the chalet and the local ski area. The website also includes an availability calendar. We have worked with this client on other projects but this was a new business venture. The clients fully manage the content of the site. Clients requested a redevelopment of the site we did for them several years ago. The clients required a cleaner, simple, more modern design with a strong image focus. The site has lots of factual information which needed to be displayed in a way that was easily accessible whilst still maintaining a strong visual appearance. The target audience is teachers, parents and children. 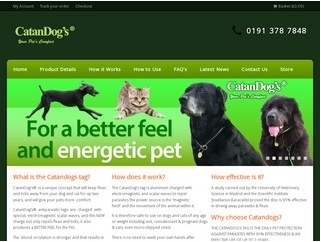 We have worked with this North East based company for several years on this and other projects. The company specialise in providing educational trips to France. The site is fully content managed by the clients. 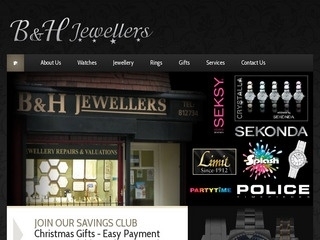 This project was to create a new site with the ‘WOW factor’! The client who has a small jewellery shop in Spennymoor, wanted to showcase the range of products he sells and also the many products he can source for individual clients. The client also wanted to promote the other services their business offers. 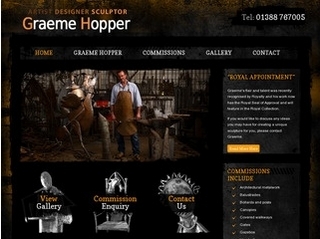 The site was designed with a dark background and is very image based to give it that ‘glossy’ look and feel. 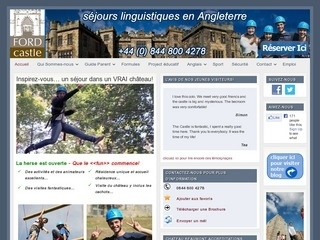 Our clients wanted a French version of a site we had previously created for their school activity camp at Ford Castle. This site is to promote the Castle to schools in France who are looking for a Summer Camp experience in England. It was important the the site showcased the Castle, the Activities and the Region in general. The site is now managed by the clients and is linked to Facebook and Twitter, and has it’s own blog. 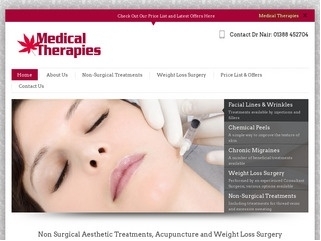 Content managed site to promote client’s Non-Surgical Facial Cosmetic treatments and Acupuncture business. Brochure site to promote the range of Non-Surgical Treatments and Weight Loss Surgery provided by a team of experienced Doctors at the Station View Medical Centre in Bishop Auckland.